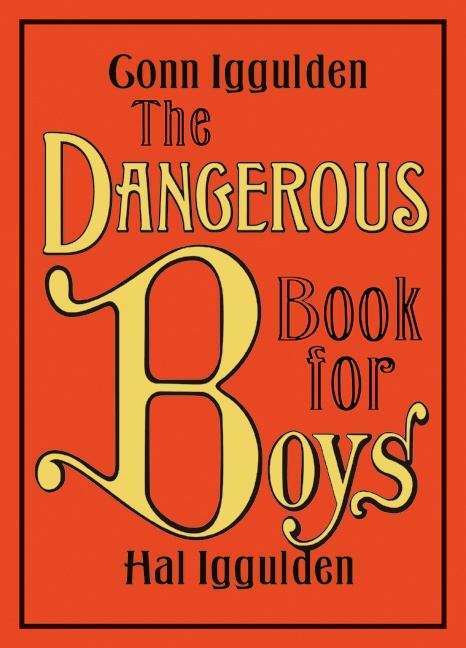 Equal parts droll and gorgeous nostalgia book and heartfelt plea for a renewed sense of adventure in the lives of boys and men, Conn and Hal Iggulden's The Dangerous Book for Boys became a mammoth bestseller in the United Kingdom in 2006. Adapted, in moderation, for American customs in this edition (cricket is gone, rugby remains; conkers are out, Navajo Code Talkers in), The Dangerous Book is a guide book for dads as well as their sons, as a reminder of lore and technique that have not yet been completely lost to the digital age. Recall the adventures of Scott of the Antarctic and the Battle of the Somme, relearn how to palm a coin, tan a skin, and, most charmingly, wrap a package in brown paper and string. The book's ambitions are both modest and winningly optimistic: you get the sense that by learning how to place a splint or write in invisible ink, a boy might be prepared for anything, even girls (which warrant a small but wise chapter of their own).